This article is a summary of a seminar conducted by Susanne von Rosenberg, U. C. Master Gardener of Napa County. on gardening in an age of climate change. Greenhouse gases (GHGs) are the major human-influenced cause of climate change. GHGs warm the earth's surface by trapping heat in the atmosphere. Carbon dioxide and methane are the most important of the common GHGs in influencing climate change. In 2016, California achieved its goal of reducing its GHG emissions to below 1990 levels. California is home to almost 13 percent of the U.S. population but produces only 6.6 percent of the country's carbon dioxide emissions. The U.S. as a whole is not doing as well. Until recently, the U.S had the highest total emissions worldwide, but China has overtaken us. The United States represents 4.4 percent of global population but 15 percent of the worldwide total of emissions. Scientists consider four primary scenarios when projecting climate change: GHG emissions peak by 2020 and decline thereafter; GHG emissions peak by 2040 and decline thereafter; GHG emissions peak by 2080 and decline thereafter; and GHG emissions continue to increase throughout the 21st century. If we meet the goals of the second scenario, we may be able to keep global temperature rise below 2°C, the target of the Paris Climate Accord. In the Bay Area, the sea level is rising 3 millimeters per year and that rise is accelerating. This increase in the rate of change is mainly due to the increased rate of melting of Greenland and Antarctic ice. There is also a greater loss of snowpack in the Sierra Nevada and increased runoff. There are also biological changes occurring due to climate change. Humans are experiencing more heat-related illness and mortality and more health issues related to air quality. Recent droughts and wildfires have killed trees and wildlife. Species distribution is changing. Animal and plant behaviors, such as bird migration patterns and fruit-tree maturation, are also changing. These changes will affect us adversely. We will experience more intense storms, greater potential for floods and droughts, reduction in sea ice and effects on infrastructure and property value, not to mention loss of vegetation and wildlife. 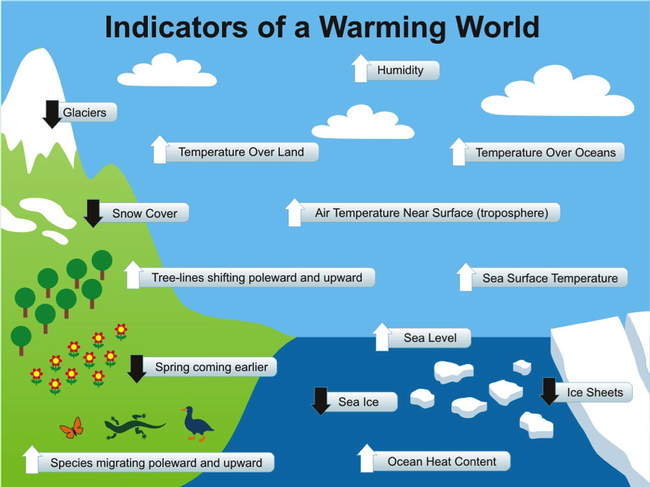 Gardeners will have to grapple with higher overall temperatures, higher night-time temperatures, longer and more frequent extreme weather events and increased precipitation variability. Higher overall temperatures will mean higher water needs, earlier bloom times and increased insect activity. Higher night-time temperatures will result in more humid nights and potentially faster growth or fruit production. Excess heat over a long period can reduce yields. Extreme weather events mean more drought and fewer, more intense periods of rain. What can we do? We can reduce our GHG footprint, advocate for renewable energy and educate others. In our own gardens we can conserve and manage water, be flexible, be fire-wise, be proactive with insect and disease control, pay attention to microclimates, plant the right plant in the right place and reduce our garden's carbon footprint. (Removing lawn is one place to start.) Whether we are gardeners or non-gardeners, we can all help. Climate change. Image by John Cook. Licensed by Creative Commons.